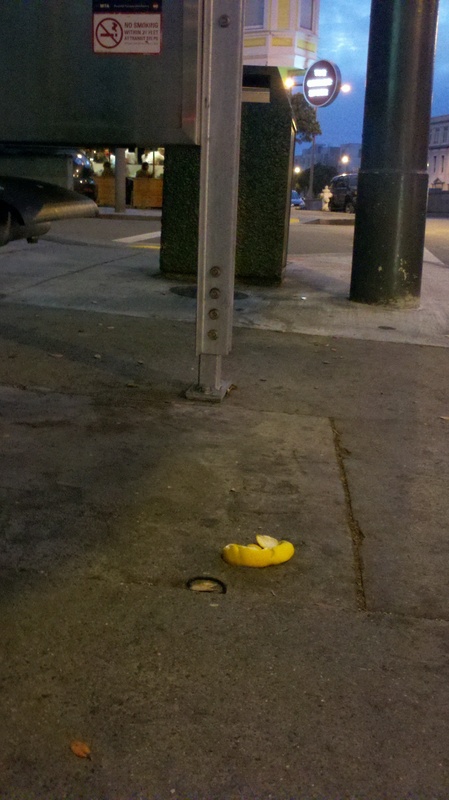 Some fruit rinds try to look dangerous by posing as bananapeels. Nice try, but we’re not fooled. Spotted by Justine at Geary and Masonic, 7:48 pm Sept. 5.